Step 1: take a look at the main interface and the functions that you can access from the top part of the screen: search for videos, favorites, history, lists, and player. You’ll definitely need to learn how to use the search tool correctly. Step 2: press the magnifying glass and start searching for whatever you’re interested in. You can try with Messi’s best goals, for instance. You’ll see how it returns several results, just as if you were searching directly on YouTube. Step 3: play the result of your choice because as you enjoy the best goals scored by the Argentinean wizard, iTube does its job downloading the video in the background. Step 4: now go to your history and bookmark the video as a favorite using the button located slightly to the right. This button also allows you to play the video, add it to a playlist, delete it from your history or share it with your contacts through different email clients and whatever chat and instant messaging apps you may use (WhatsApp, Line, Telegram Messenger, etc.). Step 5: you can repeat this operation as many times as you want as well as being able to go to your section of favorite videos to watch time and time again those that you’ve bookmarked. 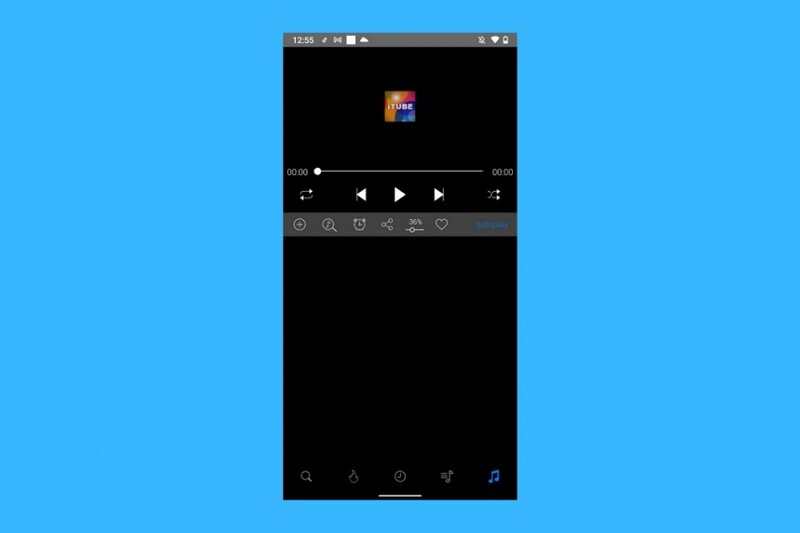 Step 6: the videos you’ve downloaded can be founded in the corresponding folder on your device that usually stores this kind of multimedia content. From there, and making use of the file manager, you can also share them, play them or delete them.